The CDL-414 is a SATA power cable for powering SATA devices such as a SATA hard drive. 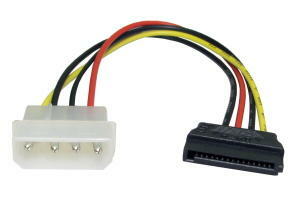 The CDL-414 is a 4pin molex to SATA cable that produces power from the PCs PSU to the SATA device. 4pin male molex to female SATA power cable.